Our work directly contributes to meeting the key 2030 Sustainable Development Goal 4: Ensuring inclusive and equitable quality education and promoting lifelong learning opportunities for all. We also advise organisations on the selection of appropriate reading schemes that will further support children and adults to learn to read and write. 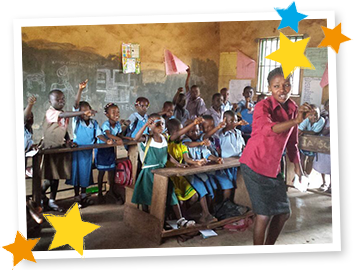 The Universal Learning Solutions team has a wide-range of experience working with NGOs in Europe and Africa. We would be delighted to hear from you to see how we may be best placed to provide your organisation with the tools needed to help meet your education goals.